We just wanted to say a big thank you to all the staff at Borneo Trails for making our trip to Sabah really special. 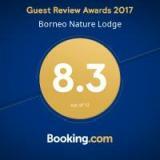 Our stay at the Borneo Nature Lodge was very enjoyable and the food was great. But our guide Jame made the whole thing worthwhile. His knowledge and expertise in spotting animals and birds was amazing, and his overall enthusiasm was fantastic (and infectious). We were very lucky to have him to ourselves for two days of our three day trip. Thanks for looking after us, Jame. The early morning river trip through the mists to the oxbow lake is one we won't forget. It was very beautiful. Watching the croc swimming up stream next to the boat and that grey headed fish eagle come swooping out of the mist were magical experiences. But nothing topped seeing the mother and baby Orang-Utan in the wild. Thanks again to everyone for your efficient, friendly, knowledgeable, professional service. 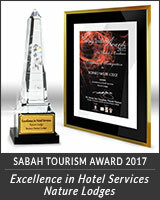 We will be recommending a visit to Sabah and Borneo Trails to all our friends. It has been a great pleasure visiting your lodge. After approx. 2,5 hours driving in a car, then 5 min. in a boat - we were welcomed by you all, especially the juice and a hot wet cloth. The lunch was served in a nice dining room with air condition - a very nice and tasty lunch according to Scandinavian customs'. On the whole lodge the atmosphere was very calm and nice, so we really got the feeling that we were in the middle of the rainforest. The whole staff was very professional, smiley and kind during the whole stay. The apartments were nice and clean, and it was very nice to enter an ice cold room after spending a long day in the rainforest. It was a nice experience to wear the sarongs at every dinner - it brought in a good atmosphere for the Borneo tradition among us guests. The main reason for staying at Borneo Nature Lodge was for us the Kinabatangan River Safaris. The professional guiding and sailing from your team was for us excellent, we were never feeling unsafe at any time at all even though we were very close to the wild animals (elephants and crocodile). Especially we would like to point out our guide Jame Bin Marjan from Borneo Trails. He knowledge about nature, animals and history is huge - his interest for photographing was also excellent and inspiring, as due to his interest we came very close to the wild animals. I'm also a photographer and I know the true feeling of taking good pictures - and James pleasure of showing us his pictures while we were sailing. For sure we will return and we will recommend your lodge to all our friends and relatives. Mark is a member of Danish Travel Writers' Association as photographer. 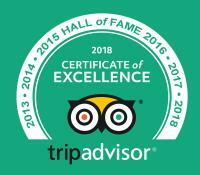 we stayed in the Borneo nature lodge from 29th until 31st December 2013 and would like to let you know that we have had a great time. You took good care of us and made us feel "at-home" in your lodge. The service was excellent and the staff very friendly. The food was also very very good. Enak sekali. We are sending you a picture of us on the evening that you decorated our table. This was a very special evening for us and it will stay in our hearts and in our minds forever. Terima Kahsi. Would it be possible for you to send us a picture of your team? That would make us very happy. Thank you once again for everything and all the best wishes for 2014. Sorry it has taken me this long, but at last I have done it! Thanks for your help in arranging the early trip home from Sandakan. It was a shame we missed the Island, as we both were looking forward to laying back and relaxing but the rest of the trip was really good. Phillip was a real help and knew about every question we had! He helped make the Kota Kinabalu section of the trip really enjoyable. And Ahmed, who drove us from Sabah Tea to Sandakan, then around that section of Sabah, made us feel quite safe. At no time did we feel alarmed. Ryan was also great. He knew any questions we threw at him (especially about birds!). But the part we enjoyed the most was with Neil at the Eco Lodge. He was so friendly and helped us relax (not that we needed too much help relaxing there, what a great place). We will definitely stay there again if we make it back to Sabah (which we hope to do). He also helped with organizing the flight expenses etc. A great guy! When we come back we will have to go to Labuan Island too. We would have gone last time but time was an issue, to go and really take in the vibe of the cemetery, would need an over-nighter I think. Good morning Esther. Thank you so much for organising our trip down to Sandakan. Everything worked so well and went very smooth. Having 2 days at Kundasung was needed. The Heritage Hotel was okay and it looks like it is going through a process of renovation. Their service was personal and lovely. We booked seats on a Tung Ma Express bus and was able to pick that up at the bottom of the hill. It was full but we sat on the steps until a seat became available. It seems our booking got 'lost' in translation! The driver dropped us off at the Sepilok roundabout where there were taxis waiting. We really like Jungle Resort and viewed Orang Utans in the late afternoon as there was no tourist rush- good decision. Absolutely loved Borneo Nature Lodge. Neil is a legend and so is Kurt! Got to see Pygmy elephants too which was a bonus. The food there was as stunning as the surroundings. The city tour was another highlight and the guide so helpful right until he dropped us off at the airport. We really do appreciate such a well organised smooth running itinerary that was not busy. Thanks so much again. I just wanted to send you an email to pass on my thanks for arranging our trip in Sabah last week. We had an amazing time at Sepilok, Sukau and Tabin, with the opportunity to see and experience a huge variety of wildlife. Our guides were fantastically knowledgeable in relation to the animals we saw and the habitats in which they live which made our experience all the more valuable. Everything ran on time which made everything very easy for us and we always felt very safe and comfortable, important given we were travelling with our six year old daughter. I would be grateful if you can pass these comments to all who were involved in making our trip so memorable. We had a fantastic stay here. The service was excellent and everyone was very friendly. This was the highlight of our honeymoon!!! Thanks to all for making it so special. We will be recommending you to all our friends. Your place is a delight - wonderful location - excellent service - nice people - relaxed atmosphere. It is highly recommended. Thanks very much. Thank you for a wonderful stay. We've loved our time at Borneo Nature Lodge. Excellent facilities and food. Thank you to Rosli and the team for very attentive service. Our river cruises were amazing and we were so lucky to see so much wildlife - the highlights were Orang Utans & Elephants up so close! Thank you to our fabulous guide Omar - so informative & enthusiastic, and great boat driver always getting us to the positions for viewing the wildlife. 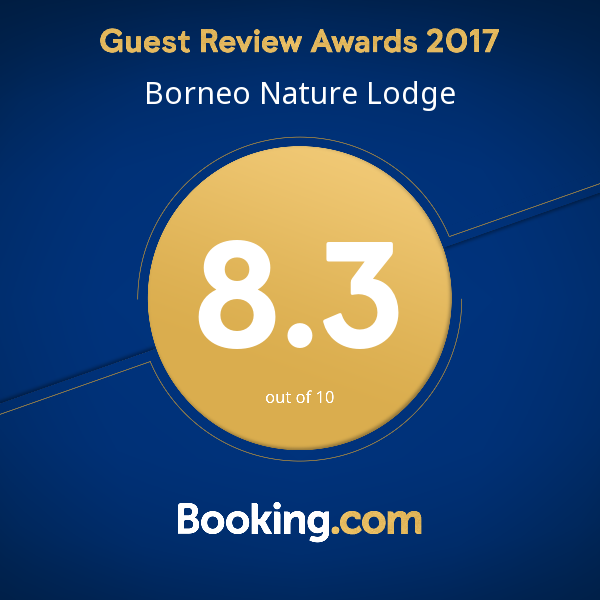 We will definitely recommend Borneo Nature Lodge. To all the crew @ BNL, keep up the great work showing & sharing the magic of this place with the rest of the world. It is a jewel that should be looked after! Thank you so much for an amazing stay - you're really thought about all the little things that make somewhere feel welcoming - from cold towels and drinks on arrival to flip flops in the rooms! We loved the river cruise and wish we could stay longer. Obrigada! Thank you very much!! Everything was very enjoyable and the experience of living in the jungle was amazing! We will definitely recommend this experience to our Portuguese friends! Thank you very much for a great stay. The lodge was great especially the nice room and fantastic food. We loved the river cruises and would like to thank Salam who gave a lot of information and had a keen eye for spotting all kind of wildlife. We will definitely recommend the lodge to others! Service & Staffs were excellent! What a very special place you have at Borneo Nature Lodge! Your warm welcome was an extra bonus to our nature experiences - sights, sounds, smells. We feel fortunate to be here and share in your Borneo gifts. Thank you to all the wonderful staff for a most memorable experience. We enjoyed our stay at your comfortable lodge. Sukau is definitely a "must see" destination in Sabah! Thank you for 2 wonderful stay here at BNL. A place of paradise! Food and staff were great. We will certainly be recommending you. Thank you for providing such great hospitality. We will never forget the beautiful experience of staying at this great lodge. We enjoyed our vacation very much and we will recommend this place to all our friends. Thank you to everyone at your lodge for giving us such a fantastic wildlife experience, such warm hospitality and such wonderful food. We have really enjoyed ourselves. Each member of your staff is a real credit to the lodge and each did so much to make our stay GREAT. Special mention must go to the highly skilled boatman who helped us see such fantastic wildlife. When other tour groups zoomed past us, your boatman pitched out interesting creatures hidden in the trees and also to your restaurant manager who is so, so welcoming and politely attentive. We will be recommending you to our friends in Perth. We couldn't ask for a better lodge. It was amazing 2 days. Thank you very much for the care. All of you are very friendly. We will recommend your lodge to all in Russia. We will miss you. Thanks Borneo for the miracle! The river cruises were fantastic!!! Great food, friendly staff making us feel very welcome. Being woken up in the morning with the knocks on the door and the words "the elephants are here" is the best way to wake up!! An amazing place and the river cruise exceeded my expectations. Best part was watching the Proboscis monkey cross the river high above our heads on the ropes - unfortunately the camera batteries ran out! Saw lots of monkeys & elephants. Staff at lodge were very friendly and helpful - will definitely tell people at home to visit. A truly wonderful setting with very friendly and helpful staff. The boat trip and wildlife was the highlight of our stay in Malaysian Borneo. We are eternally grateful that our guide (Jame) and boat skipper had 20/20 vision!! Would have loved to have stayed longer and we will definitely come back. Thank you to everyone involved with the trip. What a fabulous place, a real haven in the middle of the jungle. Great accommodation and wonderful service and food. The river trip was fantastic seeing all the wildlife and getting some good pictures. Even the storm seemed part of it, getting wet and having a good time. Thank you all, we would like to return.